With just two months to go until the marathon (!!! ), we decided it was probably time to start making travel arrangements for Boston. I won’t pretend that this trip hasn’t been stressing me and my little wallet out. For one, since I was one of the last people to register for this race, all of the hotels through the marathon website were already booked. After checking daily, a room finally opened up after about a month. I made our reservations even though the overall price was a bit out of our budget. But, I guess maxing out my credit card is better than spending the night before a marathon sleeping on the streets. I think. I’ve continued to check a couple of times a week to see if a cheaper room would open up…until I realized after some research that our hotel was on the cheaper end. Turns out The Boston Marathon is kind of a big deal and the city celebrates by making everything considerably more expensive just for that weekend. So what might be a somewhat affordable vacation otherwise turns into quite the high-end ordeal. I truthfully don’t remember Chicago being that hard to swallow, but we did have almost a year to plan for it. Southwest blocked out Marathon Weekend for Boston, and the two other nearby airports (Providence and Manchester)! Thanks, Southwest for ruining my life. But, after some calculations, the savings of flying out a day earlier/leaving a day later with extra hotel nights were greater than buying tickets at full price with less nights at the hotel. So, we figured we could stay in Boston longer than anticipated. BUT, that still meant more nights in a very un-cost effective hotel. And we still needed to figure in transportation, food (since eating at McDonald’s for the entire trip doesn’t sound too appetizing), and other various purchases. I started looking at alternate accommodations. Months ago, Dominick recommended AirBnB. I started there, but all of the options were to stay with someone in their house. With them. Sharing the couch. Sharing the bathroom. One guy even established a curfew. Maybe some other time, but I wasn’t up for it during a marathon. I googled “apartment vacation rentals Boston” and came up with all sorts of websites and listings. For the most part, you can rent whole furnished apartments for about $185 a night! Maybe if I had tried booking a couple of month ago, it would have worked out, but most places were sold out, and the ones that weren’t were charging an extra $300-$1000 because of the Marathon, making the cost per night more expensive than the hotel. (I have decided to check into this more for upcoming vacations. Most require 6-7 day minimum stays). I was pacing around our house, crunching numbers trying to figure out ways to not go broke in the process of getting to Boston while simultaneously realizing that the amount of money we’d be paying could fund a week long all-inclusive vacation in St. Lucia complete with our very own Butlers. And then Aaron offered up a fresh prospective. 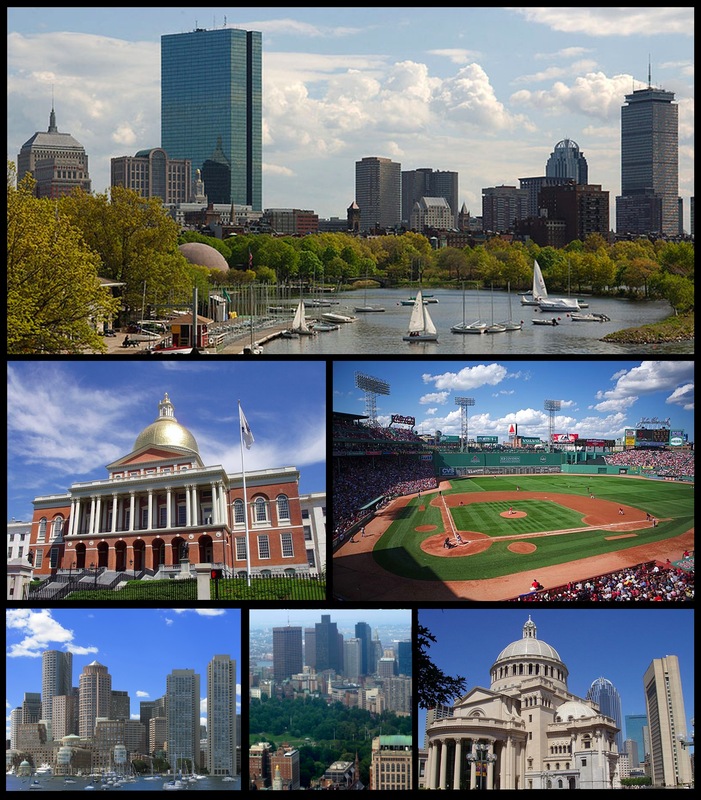 Why not fly into somewhere NOT Boston, Providence, or Manchester and take the leisurely scenic route into the city. Suddenly, my anxiety started fading away. We could fly into NYC (though, the likelihood of that being cheaper was about zilch), or we could fly into Albany, drive through upstate New York, into Vermont, then across to Boston in time to get my bib, run the race, recover, and then head back to Albany. We’d get the freedom to fly whenever since Albany didn’t have the black out dates. By staying in Vermont, we’re literally paying $150 less per night than we would be in Boston, and even the rental car will not push us over our budget. Albany is less than 3 hours from Boston. Plus, I’ve never done the East Coast thing. I’ve been to The District and I’ve been to Manhattan (and all points in between on the New Jersey turnpike), but that’s it. (Growing up, Aaron spent his summers in upstate New York since his Grandma lived in the Andes Mountains, but he hasn’t been in years). And we get to actually eat at decent restaurants without worrying that our cards would come back with insufficient funds! So, our Boston Marathon vacation has turned into a New England vacation. Plus, I will get to cross off my bucket list item of spending a weekend in a place I’ve never heard of since, aside from Montpelier, the state capitol that I memorized in elementary school, I don’t know any towns in Vermont. And I hear they have some amazing microbreweries in the area! And if you’ve spent any time here at all, you know that I love a good carb-loading local microbrew (non-IPA of course) before my races! I am obsessed with covered bridges, but I’ve never actually seen one! And we’ll still have plenty of time to explore Boston (and I’ll be spending a good 3.5+ hours running the streets). We’ll do the Freedom Trail and we’ll throw around the word “wicked” like it is going out of style. And I’m hoping to meet as many of you who will be in town that weekend as possible! (Incidentally, my bff’s at the Today Show were in Boston this morning which made me 10,000 times more excited!). So, since I know NOTHING about this part of the world, I need suggestions! Stuff to do in Upstate New York, stuff to do in Vermont, stuff to do in Massachusetts (though, maybe not Plymouth Rock since it looks pretty unimpressive) and stuff to do in Boston. Breweries, restaurants, historical points of interest, whatever. Since it seems like advance planning is required in order not to go broke for this marathon, I figure I need to start making arrangements for EVERYTHING since now. I hope everyone had a great Valentine’s Day, and I hope you all have a great (hopefully long) weekend!